Approximately one in five Americans, around 20 percent of the population, struggle with hearing loss. But only five percent ever seek out help. That’s where the Professional Hearing Clinic comes in. “If we can help the community in any way, we will try to do so,” said Jeremy Nordquist, senior hearing instrument specialist at the Professional Hearing Clinic. The clinic offers hearing aid screening, evaluations, hearing aids sales, and rehabilitative and preventative counseling. They currently have eight clinics throughout the state of Michigan, including their latest location that just opened up on Cedar Street in Holt. Nordquist said that many people who struggle with hearing loss are concerned about the price, the stigma, and the functionality of hearing aids. Because of these factors, many will choose to forgo hearing aids altogether. “To me, it’s a quality of life issue,” Nordquist said. As a child, he watched his mother experience hearing loss and struggle to afford hearing aids. 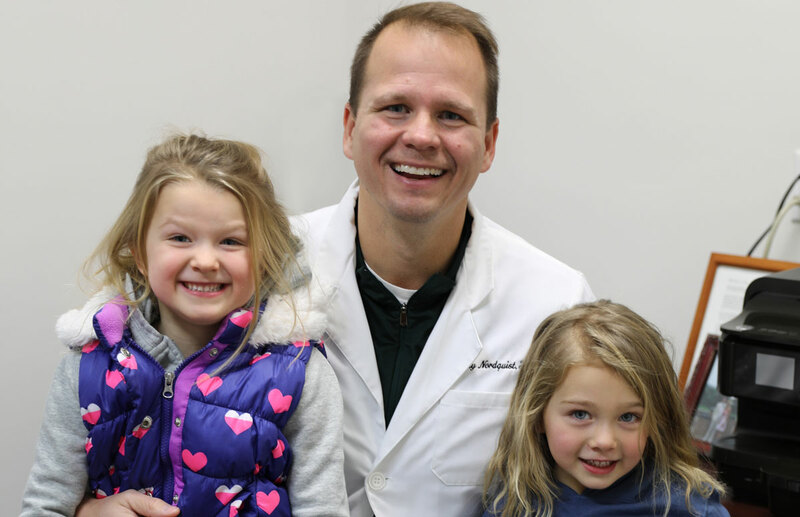 Over his 14-year career in the business, Nordquist has committed himself to offering communities a fair price for today’s hearing aid solutions and a compassionate approach to patient care. Hearing aids have come a long way in the past 10 years. The Professional Hearing Clinic offers a wide range of hearing aid technologies that are customized to a patient’s level of hearing loss, comfort, and budget. Gone are the days of background noise that’s too loud, or pitches that are too high. Once a professional hearing instrument specialist adjusts today’s new hearing aids, Nordquist says, the difference is remarkable. Professional Hearing Clinic is at 1795 N. Cedar Street in Holt, 517.258.3011, www.professionalhearingclinic.com.